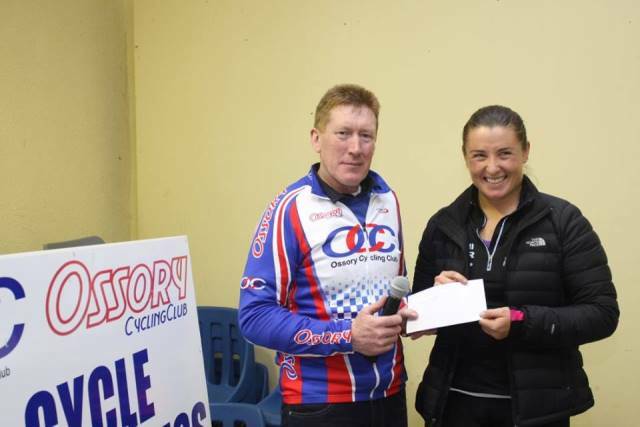 Eimear Moran was the winner of the women’s race at yesterday’s Rás an Laois, hosted by Ossory Cycling Club. 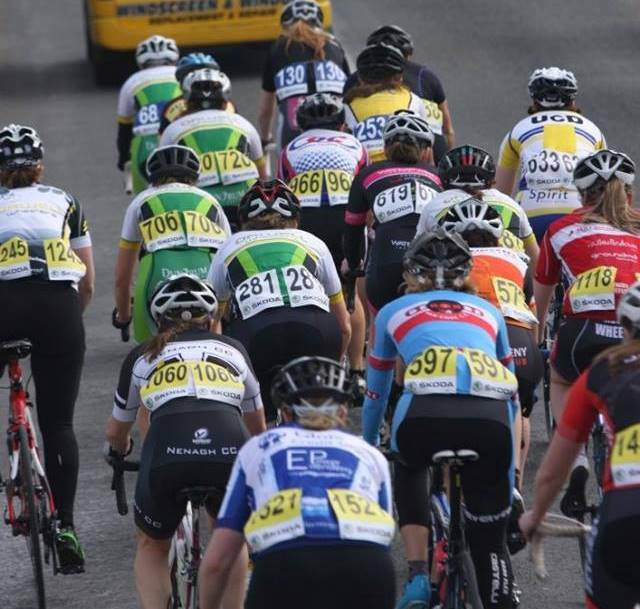 It was only the third ever race for the ex international rower, but she held off stiff competition from junior rider Ciara Doogan (second) and Waterford CC’s Martina Cronin, in third. There were blue skies and sunny conditions for the Easter Sunday race, where all eyes were on Ciara Doogan, the junior rider from Errigal CC who won the Des Hanlon Memorial race in Carlow two weeks ago. Early attacks came from Orla Hendron and her Orwell Wheelers teammates. They had obviously come with a plan to try and shake up the race from the gun. 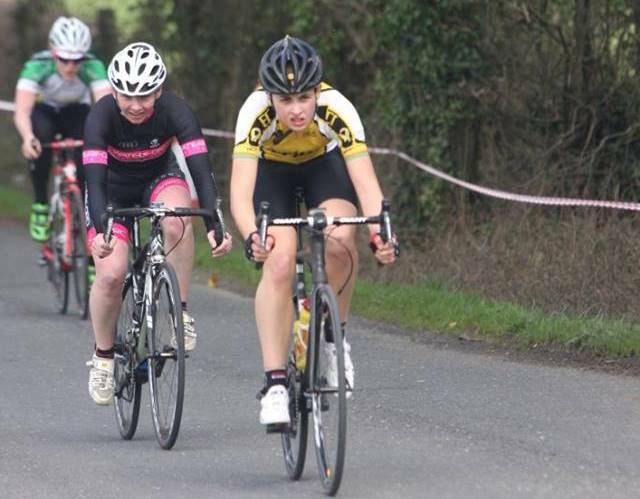 However, it was Ciara Doogan’s attack on one of the circuit’s short drags that caused the bunch to split. At the end of the first lap the group had been whittled down to a selection of about 10 riders. The prime at the halfway mark caused another surge. Martina Cronin and Sandra Telford tried to challenge Ciara Doogan but she held them off to take the prize. On the second and final lap Orla Hendron was once again in the mood to attack and she persuaded Eimear Moran to accompany her. It was the tactical move that Moran needed and she carried the effort all the way to the line, taking an impressive victory in her new sport. 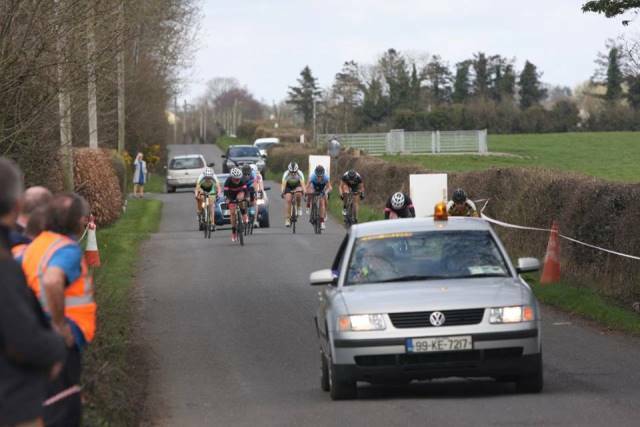 Hendron slipped back into the bunch where Emma Walsh and Ciara Doogan were frantically trying to get across to the race leader. Unable to bridge across they were left to battle for the minor placings, with Doogan taking second and the Waterford CC duo of Cronin and Walsh in third and fourth. Helen Horan saved the day for Orwell Wheelers taking fifth place and Niamh Stephens (UCD) was sixth. 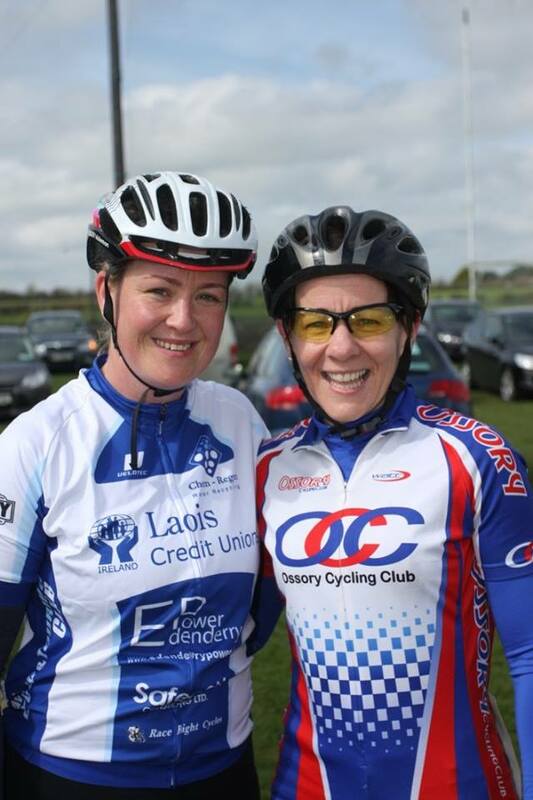 Thanks to Ossory CC for an excellent day of racing, one that has become a popular fixture on the women’s racing calendar, particularly when the sun comes out like it did yesterday!